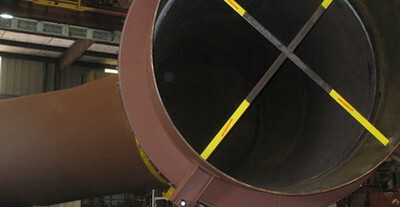 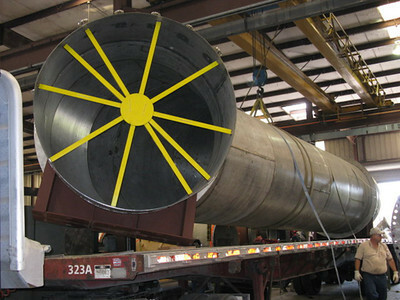 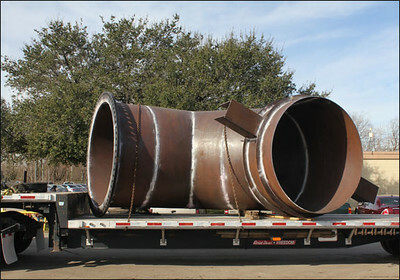 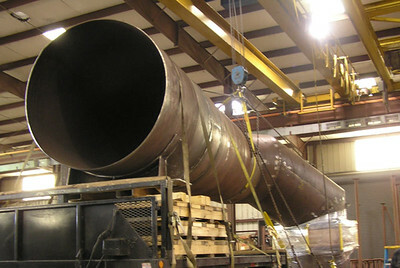 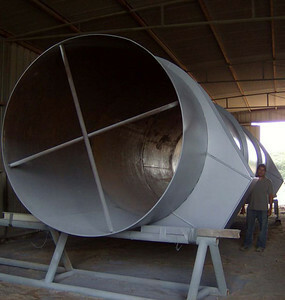 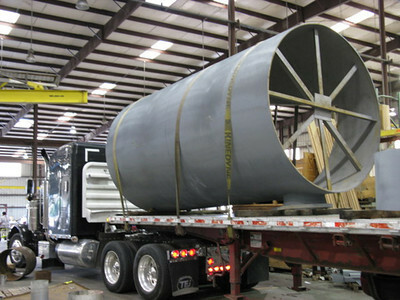 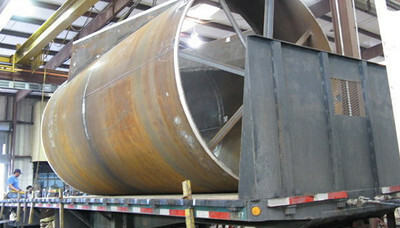 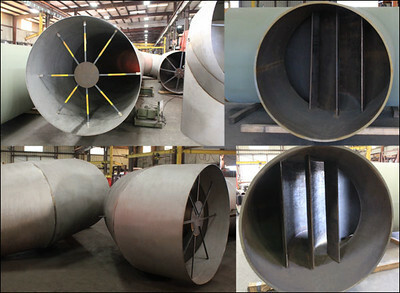 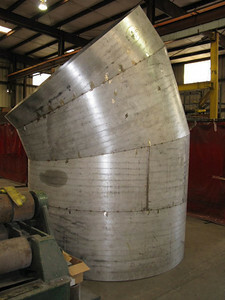 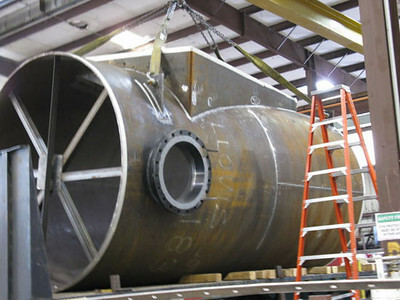 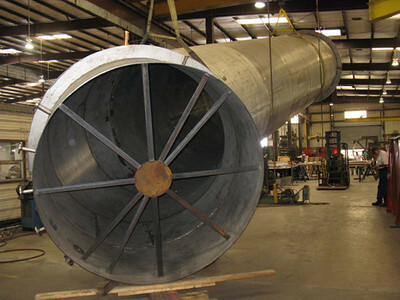 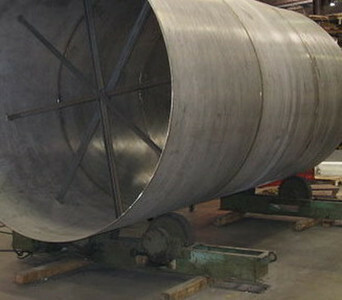 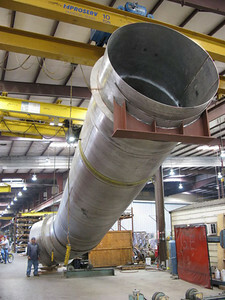 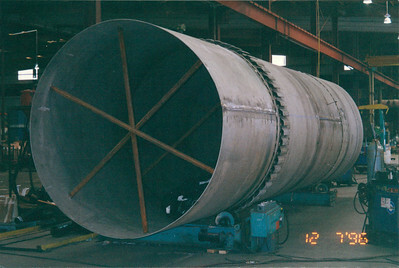 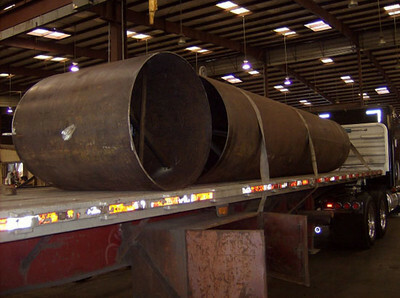 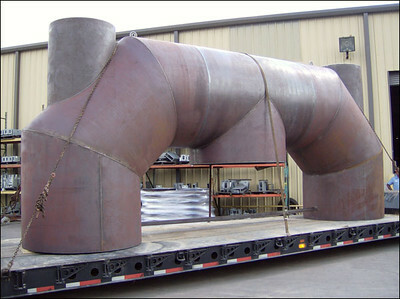 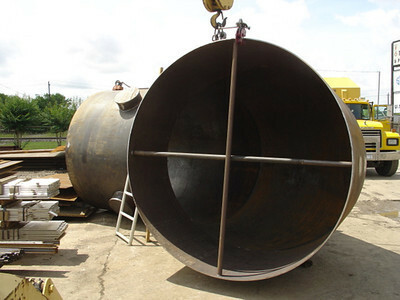 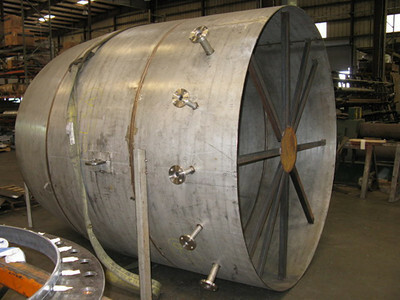 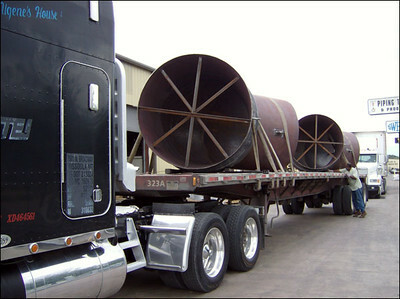 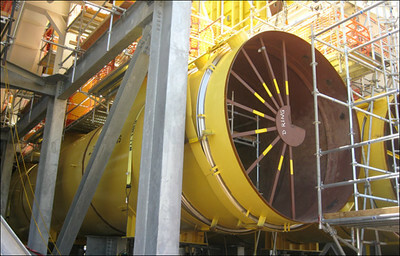 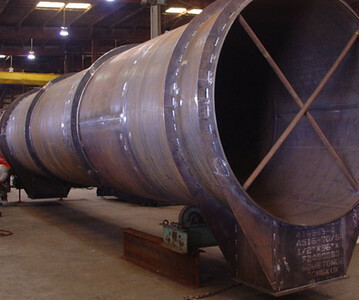 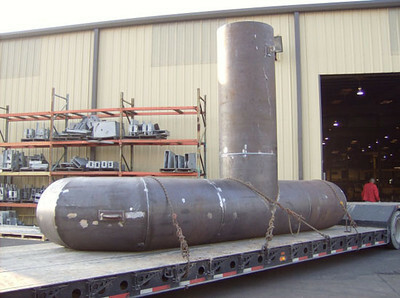 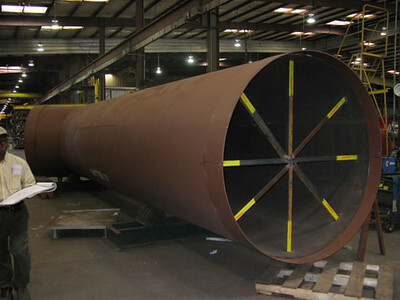 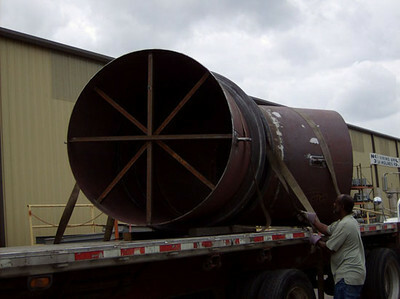 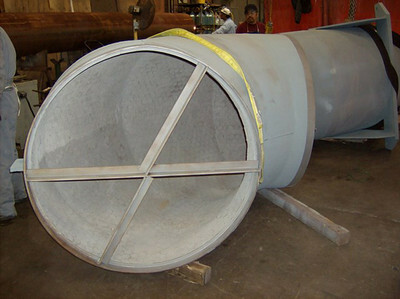 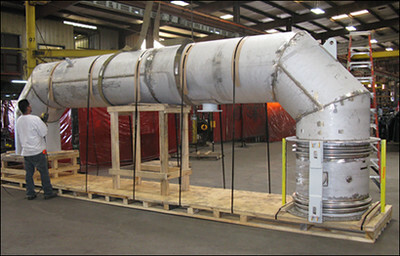 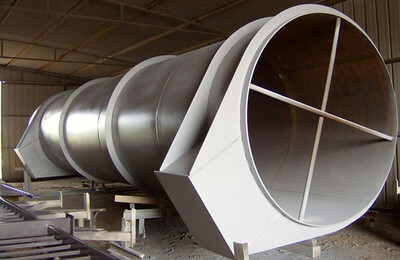 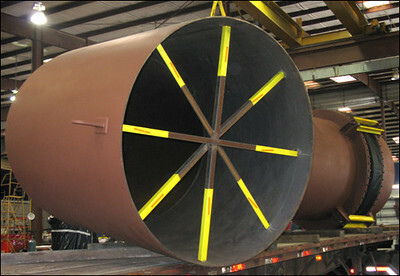 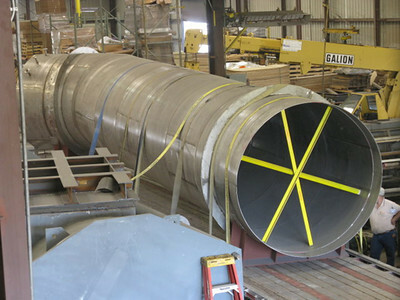 84" Diameter Duct Work designed for a sulfuric acid plant. 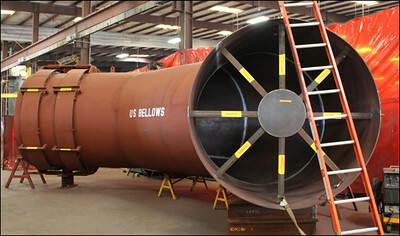 U.S. Bellows, Inc. 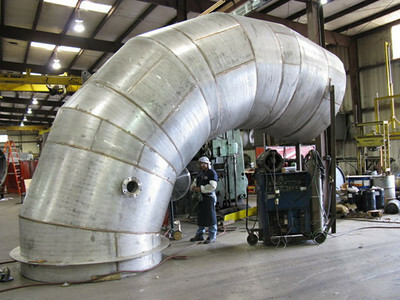 Designed and Fabricated 60" Ductwork with Spring Supports, Snubbers, a Support Cradle and a Fabric Expansion Joint for a Sulfuric Acid Plant in Texas.